The title quote is from a supplier to the homebuilding industry in south Florida, which had been one of the hottest housing markets in the country. He said his business has suddenly fallen off a cliff and development projects that had “been on the board” have been postponed indefinitely. Isn’t it a lot better to get information about what is going on at “ground zero” in the housing market rather than from some snake-oil salesman who bills himself as the National Association of Realtors’ chief economist or the sleazeballs on the financial “news” networks? Make no mistake about it, regardless of the degree to which you want to put faith in the “seasonally adjusted, annualize rate” home sales reports generated by the National Association of Realtors and the Census Bureau, the housing market is a 10 mile train skid on a nine mile track. Something is blowing up big time in the banking system. Everyone is talking about the interminably collapsing price of Deutsche Bank stock, but Bank of America, down only 2% right now, was down as much as 6% earlier today – same with Citi. The price plunge in these banks occurred in absence of any news reports or events that to which the sell-off could have been attributed. While the entire U.S. financial media/community seems to be obsessed with the sell-off in Deutsche Bank stock, I’ll note that Barclays stock is down 50% from its 52 week high and Citigroup and Bank of America are down over 33% from their 52 week highs. Because of the incestuousness that has developed in the monstrous derivatives market, all of these banks are genetically connected. It’s really irrelevant which bank blows up first because when one goes, they’ll all go. I am tying together housing and the big banks because the Central Bank money printing has reincarnated the housing bubble Frankenstein and the big banks – via the catastrophically massive Ponzi derivatives scheme – have been the transmission mechanism of printed money into the housing market. The entire global financial system, including and especially the U.S., is headed for a collapse that will be worse than what occurred in 2008. In fact, it will be nothing more than an extension of an unavoidable collapse back then that was deferred with QE and Taxpayer money. The concerted Central Bank move to take interest rates negative are telling us that the QE rabbit is no longer available to pull out of the hat. Negative rates are telling us that the skidding train mentioned above is on the 9th mile of that skid. Supply is building quickly (no pun intended) and sales are in the toilet. Housing in going to be one of, if not the lead horses that take this economy down. A friend of mine who lives in L.A. and lives in Vegas 3-4 days per week for business, just rented a furnished luxury two bedroom condo with all utilities including cable and internet for $1250 per month. He also said that there were many choices available in the Las Vegas area. We are just at the beginning of the end. Toward the end of last week, when the S&P jumped 58 points (3%) for the week, 46 on Friday alone. The negative interest rate announcement by the Bank of Japan triggered the move on Friday. Earlier in the week the bottom-callers in oil were on their megaphone proclaiming a new bull market in oil, which got the stock market permabull drones all giddy. The trading action last week was entirely characteristic of a typical bear market short-squeeze rally fueled by momentum-chasing hedge funds and daytraders who had piled into the short side of the market as they chased momentum lower. Typically these bear market counter-trend rallies are short-lived and are followed by sell-offs to new bear market lows. I was quite dismayed by all of the stock market bottom-callers who jumped out of hiding to announce that the stock market “water” was warm and that it’s safe to jump in. Several of these mentally challenged mutual fund manager drones were on bubblevision Friday. These guys are either complete morons or ethically challenged. If it’s the latter case, then they are breaching their fiduciary duty by encouraging the public to put more money in their funds. An article in the Wall Street Journal featured a money manager who tried to make the case that the bottom is in. Again, I hope that view comes from stupidity rather salesmanship. And some guy named Rob Arnott who supposedly manages a zillion dollars was featured on a well-known podcast website encouraging listeners to put money in emerging markets. May as well take lighter fluid and a match to your money. At least that would be worth the heat you create from the fire. It simply blows my mind that, after 6+ year bull market in stocks that was entirely a product of money printing by Central Banks globally, a supposedly well-educated market “professional” can announce that the market has bottomed after a paltry 10% decline. The directional movement of the stock market is now solely derived from the actions and words coming from Central Banks. The valuation levels in the stock market have never been more dislocated from underlying fundamentals than the present era and thus conveniently ignored. But we can’t even begin to discuss a bottom until the entire investment universe is focused on real fundamentals. This guy Rob Arnott tried to make the case that the emerging markets represent “deep” value. That must be some kind of joke. Many of the emerging market countries are the verge of financial, economic and political collapse. If you put your money in Mr. Arnott’s fund you may never see it again. But just like every other big money manager, he’s motivated by selfish interests. If he were to preach the truth, his investor base would disappear and along with it the $10’s of millions in fees he’s making off of it. I have a couple of friends who manage individual accounts. 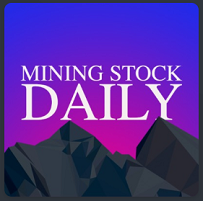 They both called me on Friday with the same story of taking multiple calls from clients asking if the sell-off was over and if it was time to move more money into stocks. That’s one of the surest signs that the move last week was nothing more than a bear market counter-trend rally. Bear markets are designed by the laws of nature to inflict damage on as many people as possible. Weeks like last week are designed to keep the middle class invested in stocks while the market goes lower. The truth is that the entire global financial/economic system is collapsing. The stock market and credit market action in January was nothing more than tremors ahead of a massive “earthquake” that will inflict unimaginable financial damage. It’s part of the human condition to believe that really bad things can’t happen. This is a big part of the reason it takes a long time for a bear market in stocks to unfold. That plus blinding greed. But the unfortunate truth is that more than likely the stock market in general will have to drop at least 50-70% before we can credibly discuss whether or not a bottom will occur. I say 50-70% because most people would not believe me if I were to disclose where I really think the stock market is headed before this over. 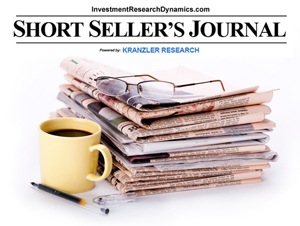 The weekly issue of the Short Seller’s Journal has been released this afternoon. 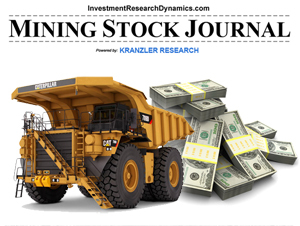 This is my best issue yet and includes an options trading resource (emailed separately). I have identified a short-sell idea that takes advantage of a highly leveraged company exposed to a highly cyclical industry and has significant exposure to subprime counterparty risk. I also have a leveraged energy sector “Quick Hit” play to take advantage of what appears to be yet another rumor-driven short-squeeze move in the price of oil last week. 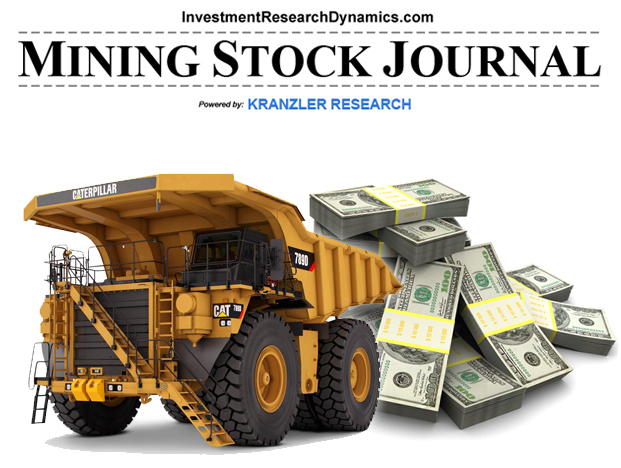 Finally, I have some preliminary comments for subscribers on AMZN’s earnings report. Every quarter I seem to discover more problematic aspects to AMZN’s business model. By the way, as predicted, the growth in its cloud computing sales – the so-called AWS buiness – are starting to show signs of slowing down. Thanks for putting together an informative report with actionable ideas. For years I have stared in stunned disbelief as the rigged up, QE inflated stock market kept defying gravity but it looks like the chickens are coming home to roost now. With the ideas you provide, I hope I can take advantage of the coming downturn with some profitable trades.